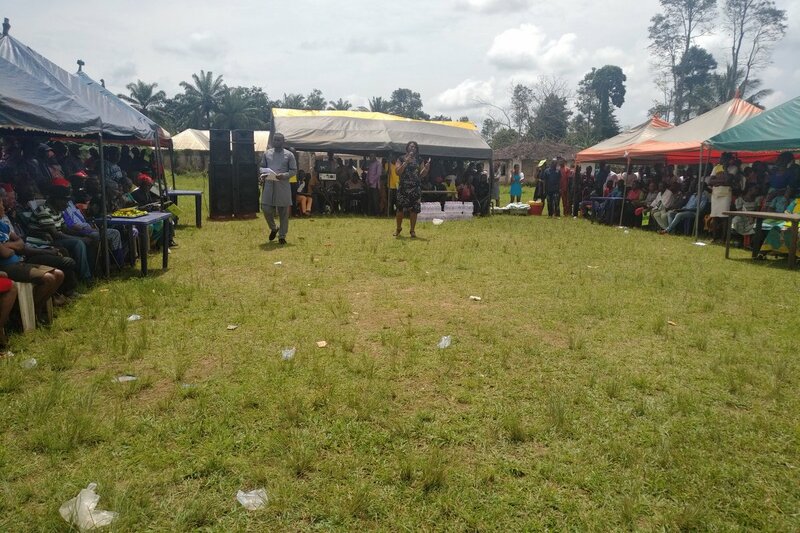 Over 300 inhabitants of Assa village, in Ohaji Egbema Local Government Area of Imo State, attended SPACES FOR CHANGE’s| S4C’s community workshop, Bolstering Community Participation in Extractive Resource Management, held on October 12, 2018. Assa is the host community of Seplat Petroleum Development Company, operators of the Assa North and Ohaji South | ANOH gas development project in Imo State. In 2017, ANOH Gas Processing Company Limited (AGPC), operated by Shell, was incorporated for the purpose of processing future wet gas production from the upstream unitised gas fields at OML 53 & OML 21. The proposed ANOH project will facilitate gas production in the large undeveloped Ohaji South gas and condensate fields, the development of which would be coordinated with the Shell-operated Assa North field. The siting of these major extractive projects in the community has been a source of tension between the locals and the oil operators. As with projects of such magnitude, Assa villagers received a ton of promises of better economic opportunities, job creation, improved infrastructure and enhanced service delivery. Promises of job-creation have not materialized as unemployment soars among local youths, and youth restiveness steadily on the rise. Communication between communities and companies have been scant as locals have little or no information about the nature, scope and scale of extractive operations going on in their villages. Similarly, community members have never been fully and fairly informed of the nature and consequences of the ongoing gas production operations, nor offered a true opportunity to participate and decide upon their own priorities in the gas development processes. S4C’s workshop was timely, convened at a time locals had just staged a peaceful protest in the state capital, demanding inclusive community development and opportunities to participate and benefit from the huge economic activities going on around them. In addition to concerns around payment of compensation for acquired farmlands, communities were also keen to know the impacts of the gas processing and production activities would have on their local environment, as most of them are engaged in subsistence farming. In her opening remarks, S4C’s Executive Director, Ms. Victoria Ibezim-Ohaeri, emphasized the need for community members to understand the import of the ongoing SEPLAT project, in terms of accruing benefits and likely environmental consequences to look out for. Presentations delivered at the workshop sensitized locals on the provisions of legal regimes and oil statutes regarding land compensation, environmental impact assessment and due process practices associated with oil and gas exploration projects. The criteria for the determination of land compensation is espoused in Nigeria’s Land Use Act. Under that law, whenever the government acquires public or communal lands for overriding public interest, compensation is paid to the land owners. Meanwhile, the compensation regime that had been in existence since the post-independence era is ripe for review to align it with the economic realities of the day. Considering that Assa is located in a rural area where landholders have customary land tenure, they are entitled to receive compensation for the unexhausted improvements on the land. The amount of compensation payable is the value of the land as at the date of revocation. If the revoked land was previously used for agricultural purposes, the local government is under a duty to allocate to them alternative land to use for the same purposes. Secondly, social and environmental impact assessments are statutorily required in projects like ANOH. It is unclear whether the operators of the ANOH project have conducted the environmental, social and health impact assessment (ESHIA) study for the project, and whether that the study substantially complied with the Federal Ministry of Environment and the Department for Petroleum Resources (DPR) requirements. An EIA conducted by Seplat will determine the likely or potential environmental impacts of the ANOH project on the natural environments of host communities. This assessment will also help to design appropriate monitoring, management measures that will guide the implementation of projects and mitigate adverse effects in environmentally sensitive areas, especially one populated with inhabitants. When asked if they were aware of any such assessment that had been conducted in their community in connection with the ANOH, the large audience numbering over 300 persons—comprising men, women, youths, high chiefs, elders—responded in the negative. In the event the assessment has not been done, communities were encouraged to set up a representative committee that will work together with the operators to conduct and implement an EIA in accordance with the legal framework of the Nigerian state. For instance, the Environmental Impact Assessment Decree of 1992 and Environmental Impact Assessment Procedural Guidelines (FEPA, 1995) provide clear guidance on how EIAs should be done. Similarly, the draft bill on Petroleum Host and Impacted Communities Development Bill 2018 contain a range of provisions detailing how to deliver direct social and economic benefits from petroleum operations to host and impacted communities. EIA reports are public documents and should be publicly accessible, particularly to the locals. It is also good practice to have the findings of such study translated to local languages for the benefit of local people. S4C undertook to take steps to ascertain whether the assessments were indeed carried out. Usually, operators develop an Environmental Management Plan (EMP) based on the ESHIA study outcomes, which outlines how the project will manage the mitigation measures associated with the impacts identified in the EIA. Some of the main activities the EMP will cover are, preventing and monitoring of potential project related water and soil pollution; development of protection plan for sensitive and endangered habitat and/or species; mitigating and monitoring of social impacts the project may have on the surrounding population. The next session of the workshop harped on the modalities for community consultations and engagement. People develop a sense of ownership and commitment to a project when they are included in the processes of managing, implementing, monitoring, and evaluating a project. 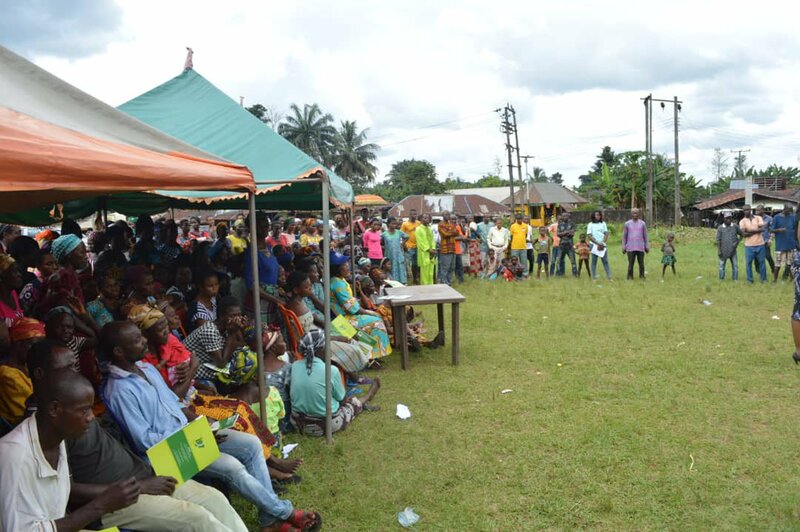 Information sharing; consultation, collaborative decision making, and empowerment are vital elements that must be present before the ANOH project can be adjudged as participatory or inclusive community development. Discrimination and exclusion from developmental processes have gained universal recognition as a violation of human rights. Some oil companies in Nigeria have often used Global Memorandum of Understanding (GmoU) as a vehicle for deepening consultations and engagement with their host communities. It is commonplace for companies conducting petroleum operations, including operating an upstream, midstream or downstream facility, or owns pipelines, to execute GMOUs with their host communities for the purpose of transferring mutually agreed social and economic benefits from the company to the community. Several communities in the oil and gas production areas in the Niger Delta in particular, have executed similar agreements or memorandum of understanding (MOU) with oil companies operating in their localities. Such agreements have afforded locals a chance to participate in the development and implementation of community development plans, ensure transparent processes for conflict prevention, project sustainability and disseminating information regarding company activities. During the interactive session, participants expressed their reservations, expectations and concerns about the proposed ANOH gas plant project. Some of their expectations include job creation, youth empowerment, educational scholarships for youths and children, micro-credit support for women and so forth. Concerns expressed relate to the inaccessibility of the EIA report on the ANOH project, and the potential effects of gas production activities on soil performance and crop yields, which could pose a danger to their traditional livelihoods. Participants also requested S4C’s guidance on how to negotiate GMOUs with the oil and gas companies operating in their communities. Responding to the numerous questions asked, S4C reiterated its commitment to empower communities and sustain its longstanding advocacy for environmental and social justice. Community leaders could not hide their joy at the close of the workshop. Thanking S4C during the closing session, the community leaders confessed that the workshop has exposed them to new information and learning about their individual and collective rights. Not only that, the workshop has not only opened their eyes, but also created within the local populations a sense of empowerment and inclusion in the natural resource governance process.